If there was ever a game to close the playbook and run our basic stuff—this was it. 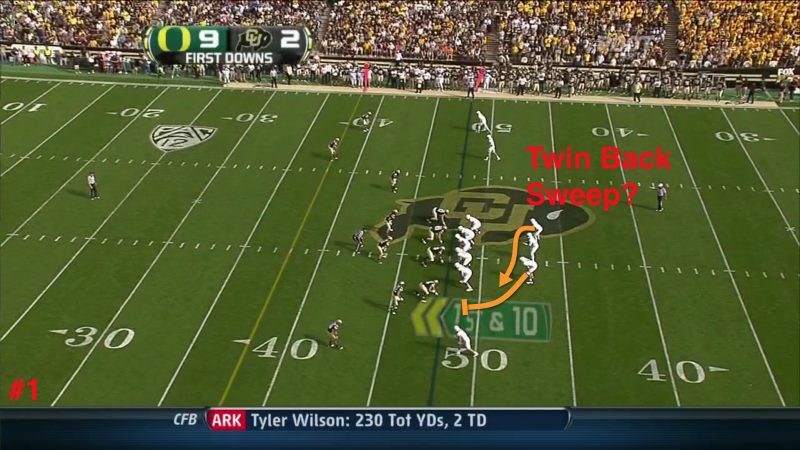 The Buffs are rebuilding and decimated by injuries, thus we could have just run our most rudimentary plays and won easily. Yet Chip pulled new plays out of the playbook for us to examine, and it begins to make one wonder why? Is he trying out new stuff in a “safe” game where it is run at game-speed, and he can gauge results from it and make adjustments? Or is he merely trying to screw with the future opposing coaches by showing them things for them to prepare for while he never intends to actually use the new plays in a meaningful situation? Let’s ponder that as we look we look at new ingredients in this Great Spread Offense Laboratory!